Includes PARI LC Plus™nebulizer, tubing, tubing adapter, instructions for use and Bubbles the Fish™ pediatric aerosol mask made of PVC. 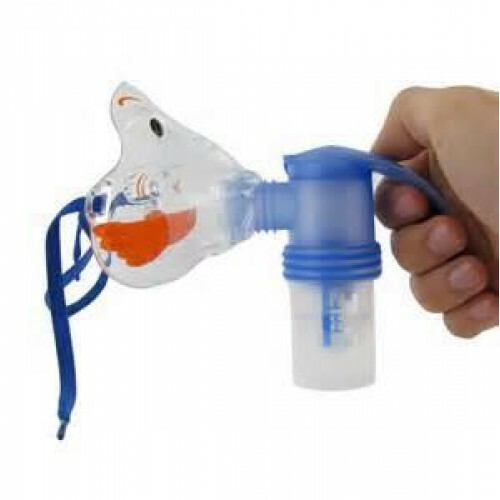 Nebulizer can be cleaned in the dishwasher and lasts 6-12 months. "Bubbles" has a unique front loading design that minimizes aerosol loss while improving patient compliance. Do I need a prescription to order this unit??? Hello Mrs. Berry: This item does not require a prescription before it's shipped. You don't get what you see. Good customer service. It description online is deciving and not product doesn't match picture.